Internet personality Jake Paul is not being a thoughtful neighbor, according to residents who say his rental house has been the scene of fires and loud antics. "It's terrible; it's a bad situation." That is how the creator of that situation, YouTube star Jake Paul, describes what his neighbors in West Hollywood are going through because of his rowdy lifestyle and made-for-video antics. Residents of the street where Paul rents a large house are meeting with police and city officials to review code requirements — and could file a class-action lawsuit that seeks to declare Paul a public nuisance, local TV station KTLA 5 reports. "I feel bad for them, for sure," Paul, 20, said of his neighbors when KTLA visited his street. 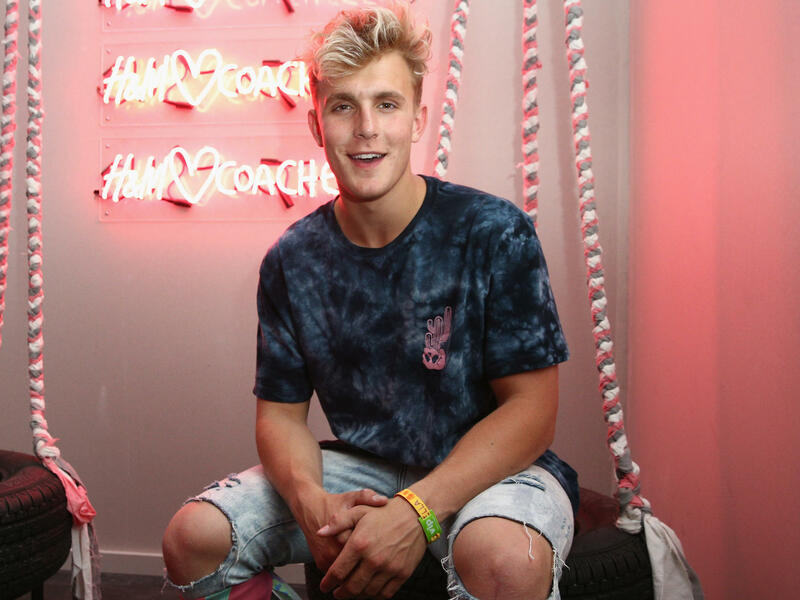 But he added, "There's nothing we can do, though — the Jake Paulers are the strongest army out there," using his nickname for his millions of followers. When KTLA's Chris Wolfe told Paul that some residents said he has turned the area into a circus, Paul replied, "Yeah, it is. I mean, but people like going to circuses, right?" The situation has generated hubbub in part because of Paul's popularity — he has more than 8.5 million followers on both YouTube and on Instagram. Working with other social media stars under the title Team 10, his videos often include pranks and antics that center on his home's pool — from sliding things and people into it to using it as a huge fire pit. "This is a Team 10 house, and it is lit every single day, bro," Paul says in one video. His neighbors would like for it to not be lit so often — and not so loudly. "We used to be a really nice, quiet street and now we're just this, like, war zone," neighbor Maytal Dahan told KTLA. "We're families here, and we're more than happy to have them live here if they're respectful of their neighbors — but they're not." Paul earns millions of dollars from his YouTube channel, according to an estimate from social media tracker Social Blade. In addition to being an online celebrity, he is also an actor on Bizaardvark, a Disney Channel show about ... online celebrities. After local reports about the dispute on his block began to get attention far beyond California, Paul tweeted, "Lol it's trending." He later questioned why so many people care about him "being a 'bad' neighbor," particularly at a time when "innocent [people are] getting shot every day." One of the most popular responses to that tweet was a screenshot image (from Orange Is the New Black) with a caption that asks, "Do you hear yourself sometimes? Like, when you speak?" And while Paul's fans urged him not to change, others questioned the underpinnings of his celebrity. "This entire thread illustrates the downfall of our society. I've never been so glad to be in my 40's," Jen Leah wrote.